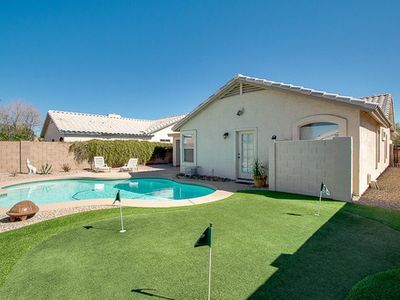 Chandler Home on Fairway w/ Pool & Putting Green! 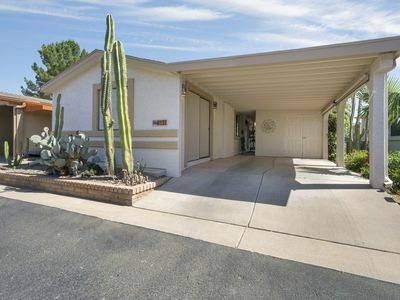 This newly renovated 4-bedroom, 2.5-bedroom vacation rental house in Chandler is ideal for a family of 6 looking to hit the links! 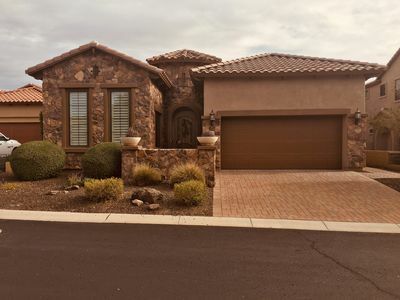 The 2,500-square foot home is located on the renowned Ocotillo Golf Resort, and boasts a refreshing heated* pool and shaded back patio for beating the Arizona heat. Guest can even fine-tune their short game on the putting green in the backyard. The location is also perfect for those who'd like to explore the area on the 2 provided mountain bikes. 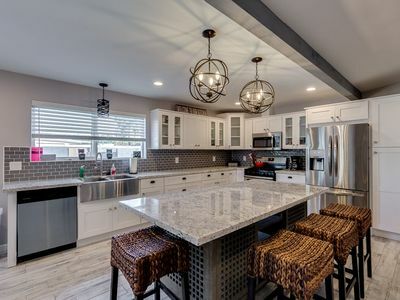 No expense was spared when this home was remodeled in early 2017. 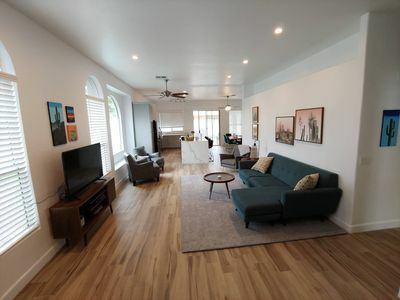 High ceilings, tile flooring, and large windows are found throughout the house. The home is spacious, well-appointed and ideally suited for families. 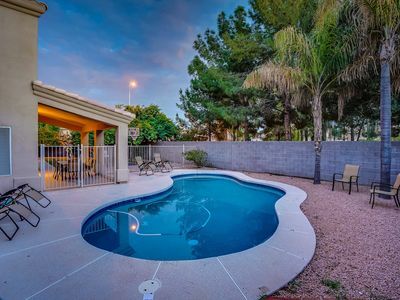 The backyard features a shaded patio area with a built-in gas grill, as well as a refreshing pool to cool off on hot days. Practice your swing on the home's large private putting green, before heading out to the golf course situated directly behind the property. Dine al fresco each night at one of the 2 outdoor patio tables; there's a gas heater on the patio for use on chilly desert nights. The fully equipped kitchen features striking black countertops complemented by white cabinets and stainless steel appliances. 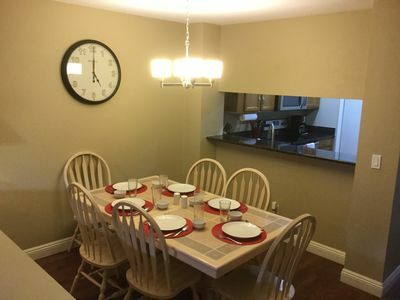 The kitchen features a breakfast bar with seating for 3, as well as a dining table that seats 6. 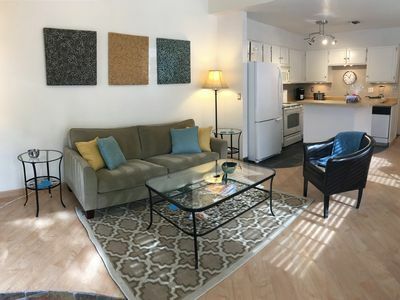 After a day in the sun, relax on the leather sectional couch in the living room and watch your favorite shows on the 65-inch flat-screen cable TV. 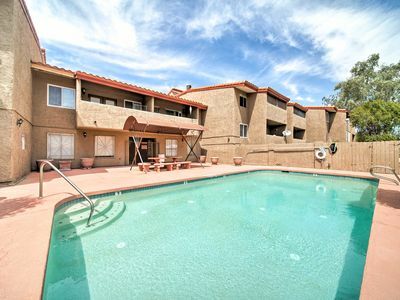 Challenge your travel companions to a game of 8 Ball on the full-sized pool table adjacent to the living room. 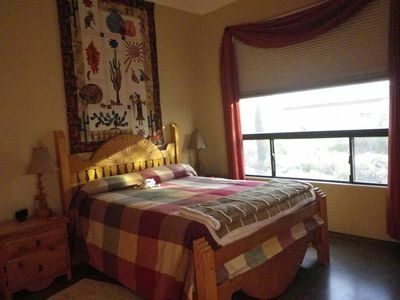 The master bedroom has a king-sized bed and a 55-inch flat-screen cable TV, while the 2nd and 3rd bedrooms have comfortable queen-sized beds. The fourth bedroom features a sleeper sofa, as well as closet, pull-down shades and privacy doors for additional guests. Both of the massive full bathrooms feature beautiful granite countertops and large showers with glass doors. There is also a third half bath in the home. 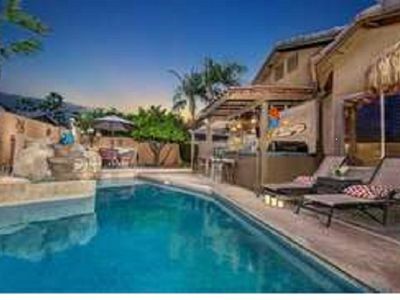 The home backs up to the 4.5 star rated Ocotillo Golf Resort, which is known for its lush fairways and reasonably priced green fees. 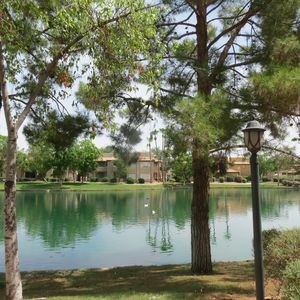 There are numerous other golf courses in the area within driving distance from the home. 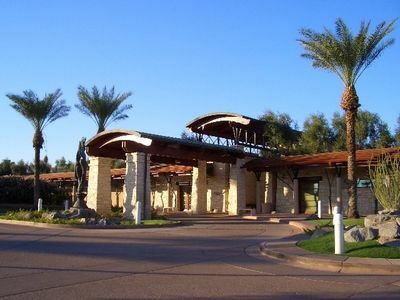 Be sure to take full advantage of Chandler's 327 miles of paved bike lanes and paths, as well as the off-road biking trails in San Tan Mountain Regional Park. There are 2 mountain bikes available for use in the garage, as well as plenty of shops around town that rent bikes by the hour or day. For some great hiking adventures, take a 30-minute drive east to Tonto National Forest. 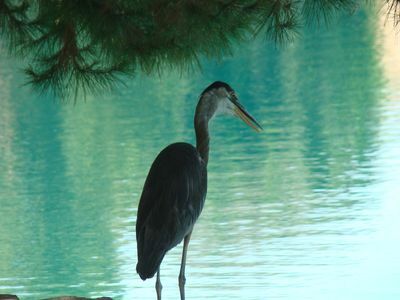 There are a number of trails that all offer amazing scenic views - so don’t forget your camera!. Baseball fans flock to the Phoenix Metro Area each spring to catch a glimpse of the 15 MLB teams that play their spring training games at 10 fields in town. The closest fields are just 20-minutes from the house! 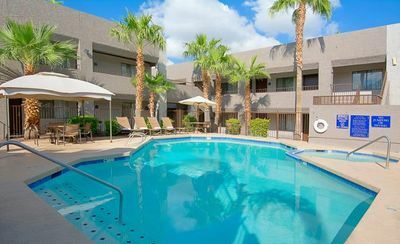 - Amenities include a fully equipped kitchen, pool, pool toys, gas grill, putting green, basketball hoop, 2 mountain bikes, air-conditioning, ceiling fans, central heating, 2 flat-screen cable TVs, free WiFi, in-unit laundry machine, garage parking, and more! *Pool is not heated in the months of December, January, February due to average high temps at 68 or below. 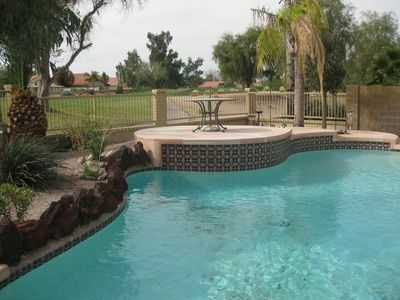 If heated pool is desired in March, April, October or November, a fee of $20/day will be applied (optional). Awesome lake views!. 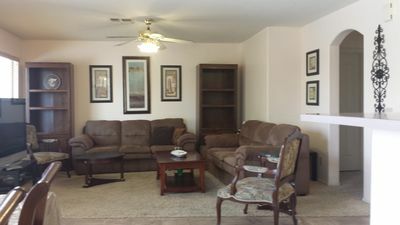 3bd ground unit, great decor. Enjoy daily lake sunsets. 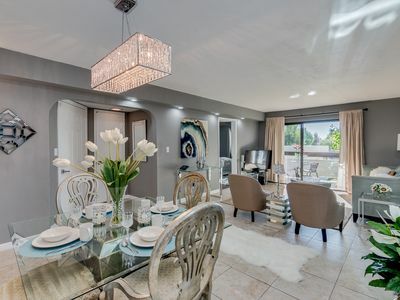 Newly Updated Luxury Condo In High Demand Location! NEW! 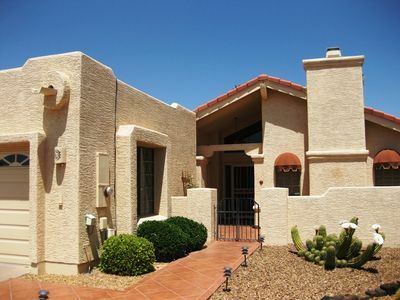 6 BR Chandler Home w/ Heated Pool! 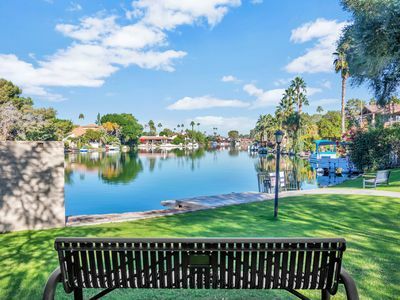 Walk to over 40 bars and restaurants, shopping, and cultural events in Chandler! Entertaining back yard with heated pool.